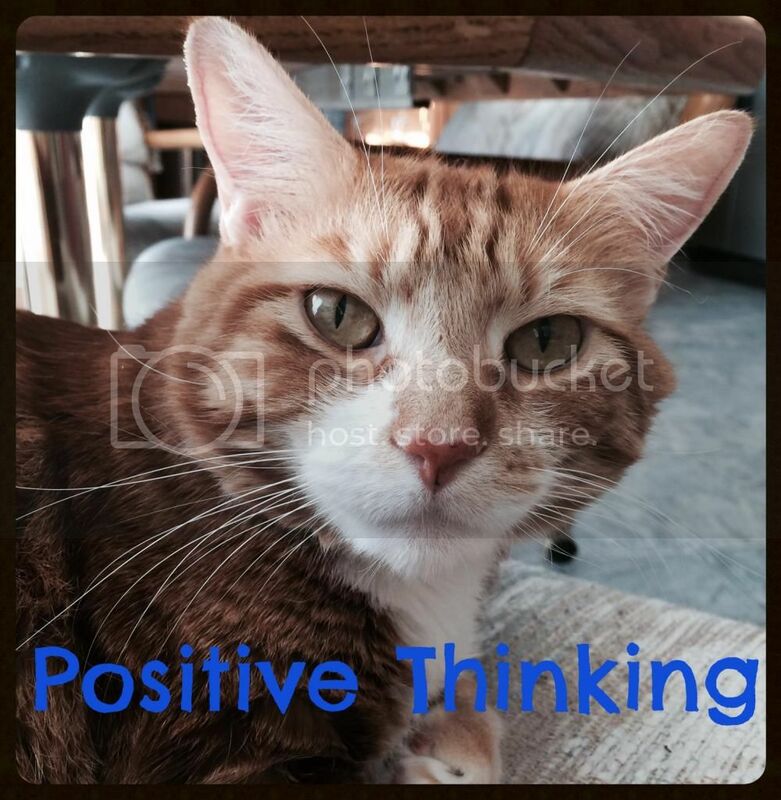 The original purpose of my Positive Thinking posts were to remind me of all the good going on in our lives and to draw the focus away from the difficulties of life with Amber's illnesses. I got away from these posts, but tried to keep a mental tally of the positive in our lives. Now with additional items cropping up with Amber, I've started to lose my perspective again. Effective, positive, compassionate, and understanding medical team for Amber - We really have it so easy compared to most children like Amber in respect to her doctors, diagnostic process, and treatment. Healthy cats who bring us joy daily - After months of dealing with Biscotti's UTI and other problems, he's been stable for a while now and even plays again. The other cats have remained healthy too. Less restrictive diet for both Amber and me - It took several years, but Amber's intestines healed enough for her to tolerate more foods. A surgery helped me. We are not the totally odd people at restaurants anymore. Friends to spend time with at homeschool co-op & church- Amber has a great group of friends at co-op (and our church as well). I've found people to identify with too. It feels like we finally found the right places. Family who is always there when we need them and whom we enjoy spending time with - We are lucky to have my mom within a short drive from our house and to have her around when we are in need of an Amber-helper. Most of our family lives within a few hour drive too. Cars that work without concern - I often take it for granted that we have cars that work without concern on a daily basis. Most problems are the usual maintenance issues (battery served it's full life and is now done, tires made it past their mileage, etc). A winter low on snowfall - Even though I love snow and Amber used to love snow, it is hard on both Fred's and Amber's bodies. While it has been somewhat of an odd winter here temperature-wise, they have been spared deep snows. Homeschooling - It sounds trite, but I am so thankful we homeschool. It has made a world of difference in Amber's happiness, her ability to handle stress, our flexibility to deal with her illness, and even lowered stress on Fred and me since we aren't dealing with a school or driving Amber to school daily. It's so important to keep the good things in mind especially when going through times of difficulty. I love that you appreciate big things and some more "normal" things. We have many of the same things to be thankful for. Lauren recently got eggs back, and while it didn't really open up any additional restaurants, it just seemed like we made a major step forward, so I know how invigorating that can be. I have been stressing this with my kids lately - we need to focus on the positives in everything. Be thankful for having a bed to sleep in while you make it up, be thankful for running water as you flush the toilet, be thankful for your toys as you clean your room...love this. I've always thought that your medical team was quite incredible, too! Sometimes with all the challenges we face, we do lose focus on what's good in our lives! These positive thinking posts are a great idea! I'm also thankful for little snowfall this year!